The First External Hard Drive To Earn Fips 140-2 Level 3 Validation Delivers Secure Hardware Encryption In A Rugged, Tamper-Resistant Metal Enclosure. 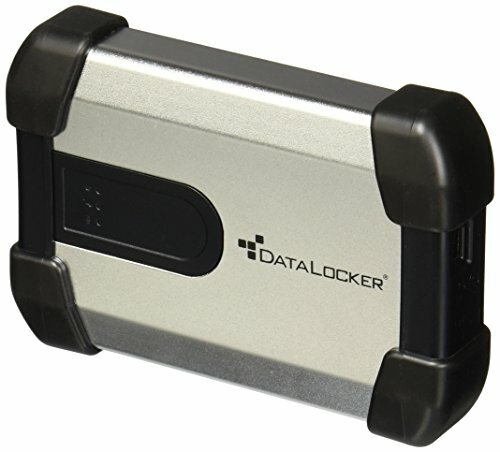 Protect Data From The Outside In Strong Password Authentication Thwarts Unauthorized Access, And A High-Strength Aluminum Enclosure Resists Physical Break-Ins And Lets You Recognize Immediately Any Attempt To Compromise The Drive. Meet Strict Data Security Requirements With The First USB External Hard Drive To Be Fips 140-2 Level 3 Validated, You Can Be Confident You're Meeting Regulatory Requirements By Deploying The Highest Level Of Encryption, Powered By The On-Board Security Processor. Stand Up To High-Security Applicationsaes-256 Hardware Encryption Makes The Ironkey H100 External Hard Drive Perfect For Storage Of The Most Sensitive Data. Leave No Trace On Host Systems All The Software Users Need Resides On The Drive, Making Virtually Any Computer A Potential Host For Mobile Workers. Collaborate Safely And Securely With Colleagues Use Imation Safeshare Technology To Allow Users To Collaborate Using On-Device Data, But Without Compromising Its Security. Optimize Usability With Multi-Language Support Reduce Help Desk Calls And Streamline User Experience With An Intuitive User Control Panel Available In Nine Languages. If you have any questions about this product by IronKey, contact us by completing and submitting the form below. If you are looking for a specif part number, please include it with your message.